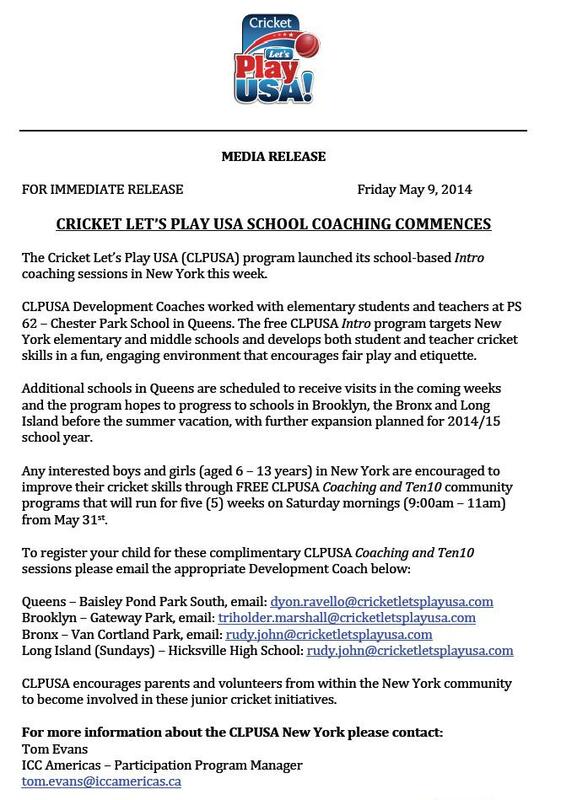 This entry was posted in Opportunities, School Cricket, Youth Cricket and tagged Bronx, Brooklyn, Chester Park, Cricket Let's Play USA, Dyon Ravello, grassroots cricket, Long Island, Manhattan, P.S. 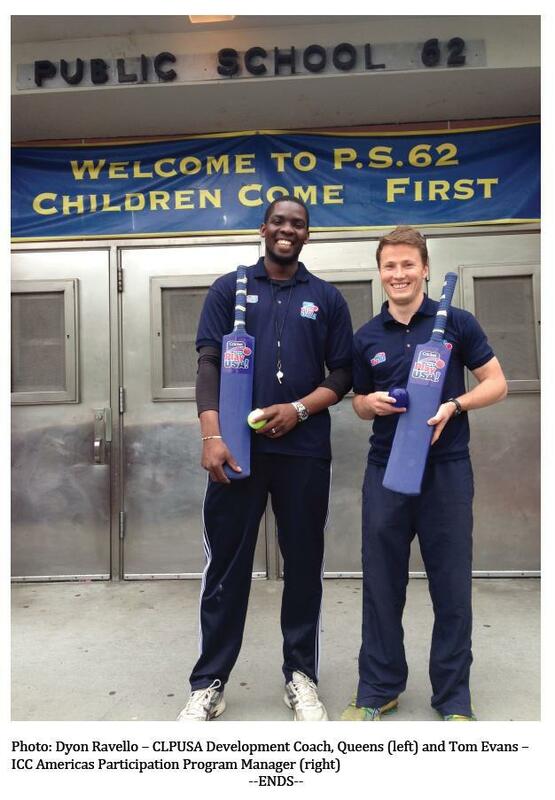 62, Peewee Cricket, Queens, Tom Evans, Youth Cricket. Bookmark the permalink.